Say hello to SOLO. 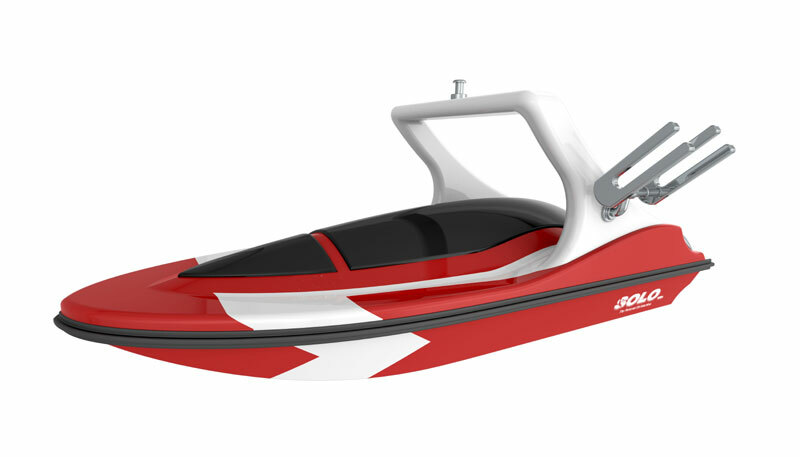 The most amazing personal watercraft on the face of the planet. The perfect solution for no-show drivers. Now you have the destiny to go it alone. The desire for the power and control to be the driver, spotter and skier is now a reality. 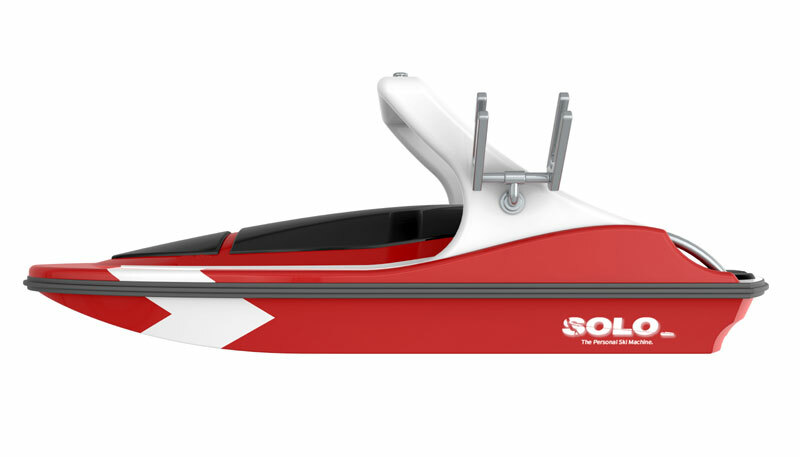 SOLO is your own personal ski machine. Always ready whenever you are. My SOLO changed my life. I now ski almost every morning before work. I walk down to the dock, crank the Solo into the water, start the engine and go. 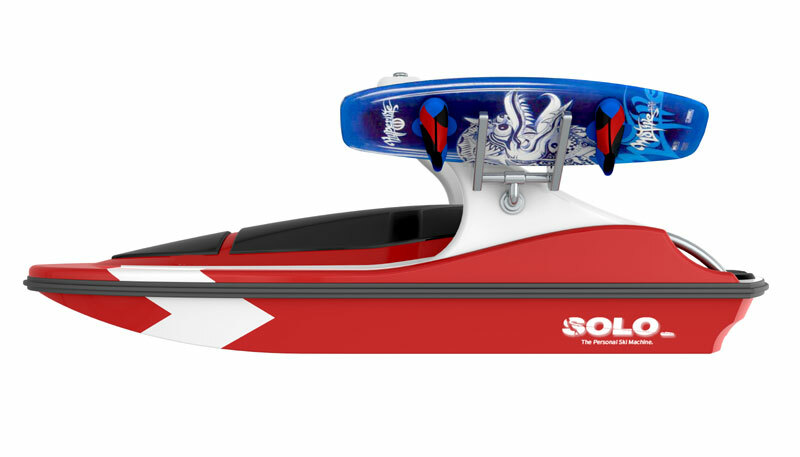 Introducing the SF 150 "SOLO". Our new technology and new patents have brought about many significant design changes in our product that have allowed us to introduce a new upscale version. We've gone wireless so you can use your favorite off-the-shelf handle and tow rope. A "clamshell" with the controls clamps on to the center of your favorite handle and communicates to a small de­vice the size of a matchbook that's embedded in our custom life vest/personal flotation device. The device communicates to the boat wirelessly. © Copyright 2019 Pacific Watercraft Group, Inc.. All Rights Reserved.